Your feet move around so you don’t get an immediate reaction from your equipment when you push into a turn, this means with every movement you are over compensating which not only gives you a bad technique but increases fatigue. Plus your poor toes get shunted around the inside of the boot causing blistering, foot cramps and other ailments such as bruised or even in-growing toe nails! Less common as people tend to buy their boots too big in the first place, not trusting that they are going to ‘give’ a few vital mm with use (which of course they do!) But a boot fitted too tightly can cause blisters, painful cramps, nail damage and possible further complications later on. Plus if your feet hurt you are less likely to do more runs so in effect you are missing valuable slope time! Firstly if you are looking to buy boots, we will make sure that they are the correct size and width for your foot, we won’t sell you an ill fitting boot just because it’s all we have left - not worth it for you or us. We can stretch to some degree the outer shell to accommodate your foots little quirks, like bunions or protruding ankles and to eliminate pressure points. Set your buckles and boot canting to the correct settings to eliminate pressure points. If you already have boots but for some reason they are hurting you or you feel the fit is incorrect we can do some of the processes above to make them more comfortable and a better general fit. The above procedures can take a little time (at least 1-1.5 hrs, sometimes more) to get right, that is why we prefer customers to make specific appointments so we can give you and your feet our full attention - trust us it’s worth the time! Please click here to book your appointment. One of our staff will call you back to confirm it. 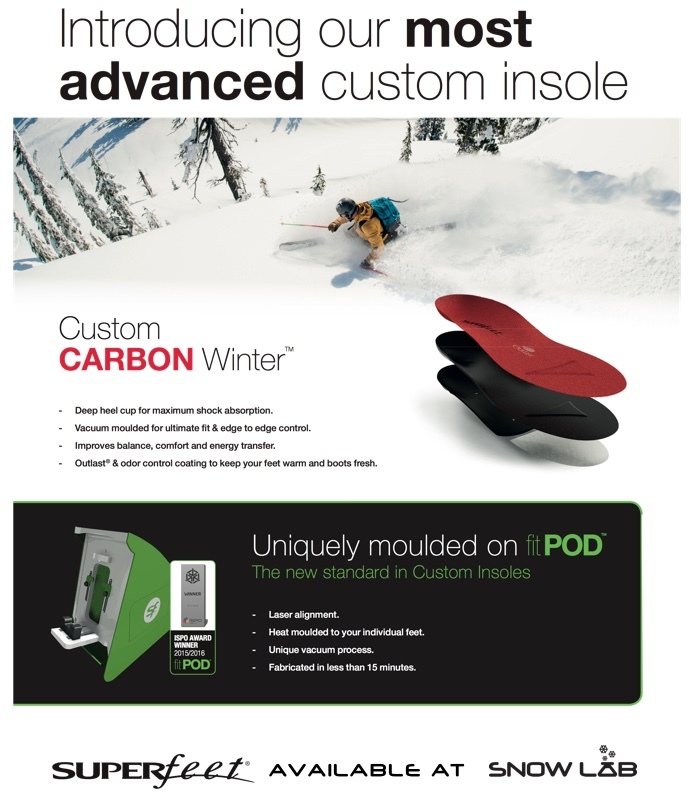 Adding footbeds or insoles to your Ski or Snowboard Boots not only provides added comfort it also stabilises the foot and improves posture which in turn can help improve your technique whilst combating foot fatigue. Great value as you can also use them in your normal shoes, or in your other sports footwear. 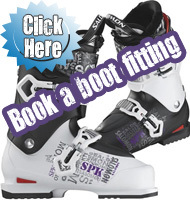 When you purchase Ski or Snowboard boots from us you will also be given the opportunity to purchase either Superfeet footbeds for £30 (usually £40) or custom moulded footbeds for £50 (usually £70). These prices are discounted only if buying a boot from us. We can supply and fit footbeds to boots purchased elsewhere but the prices will be £40 & £70 respectively. Superfeet Footbeds are trim to fit insoles with great arch support that, with use mould to the shape of your foot.